Since early Summer, Brighton based design studio Neujuice have been working on a digital project for MAST – a full service risk management and security company. That hard work has now reached fruition with the launch of their website last week. MAST are a fascinating business with a heritage in maritime security and are pioneers in providing protection in many of the world’s most hostile seas. The business has now diversified into sectors including security systems, risk management and physical & asset protection. That growth in business interests has driven the creation of their new website which needed to provide a platform in which the business could tell their unique story as an inspirational and innovative risk management company. “Working with MAST has provided some unique challenges with the multi layered structure of the business. We needed to ensure that each audience group were able to access relevant content across four key areas. 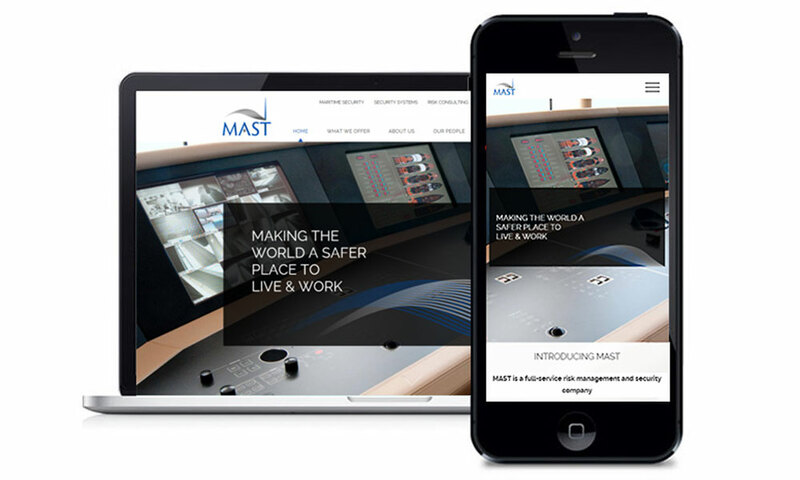 MAST have a mission to make the world a safer place to live and work and we needed to communicate that brand ethos and diversified service offering”. The website will soon launch of the MASTOPEDIA section harnessing real time geo data feeds to support travellers looking for information on geopolitical events worldwide. Something that will become an essential reference point for anyone looking to travel to any of the world’s troubled areas.